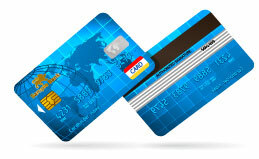 Internet Payment Gateways help ecommerce websites to accept creditcard payments over the internet. Sri Lankan Banks like Sampath, Seylan, HNB, NTB, Commercial etc provide affordable payment gateway solutions. Web Developers can help website owners to integrate these gateways to there websites. Doing ecommerce and want to integrate a Payment Gateway ? We integrate the Sampath Bank Payment Gateway (SIPG / SPG) or any other payment gateway to your website to accept credit card payments over the internet. Sampath Bank provides a cost effective and secured payment authorization and processing service that we can setup on your website. An Internet payment gateway allows you to process credit card orders from your website in real time. This way, the customer knows immediately whether or not their credit card was approved and you account receives funds immediately. Sampath Bank is the first IPG provider to offer a payment gateway to accept Sri Lankan Rupee (LKR ) on the internet. Sampath Bank Internet Payment gateway ( SIPG) is used by 100s of Sri Lankan businesses to process their online translations securely over many years now. Sampath Bank assures that all transactions routed through the gateway are fully secured with the highest international standards of security with SSL (Secure Socket Layer) 128-bit encryption certification obtained from prestigious Verisign Inc., USA. We are well experienced in integrating Sampath Bank Payment Gateway & other gateways to all types of websites. We can design and develop ecommerce websites, online web applications which can accept payments using credit or debit cards. SPG is an online service that can be added ( integrated ) to websites to accept credit or debit card payments from customers online. What type of websites can benefit from accepting payments online using SPG? What are the programming languages supported by SPG? What are the currencies supported by Sampath Payment Gateway ? What type of cards can the SPG accept from online customers? SPG can accept VISA and MasterCard Credit or Debit cards. Click here to read more about SIPG and to see a full list of Sri Lankan merchants who are using Sampath Bank IPG service to process online transactions. Note : We are not affiliated with Sampath Bank PLC nor endorsed by them. We provide technical development services that required to implement the payment gateway on end clients website. End clients need to purchase payment gateway service from Sampath Bank directly. Banks provide great payment gateways, contact the banks below to get a payment gateway. We can assist with connecting it with your website. We integrate following technologies/shopping carts with sampath bank payment gateway and other bank payment gateways. First, the ecommerce shop owner must apply for the gateway facility from the Bank or the gateway provider. Legal Documents will be requested by the bank to process the request. Website may be needed to change to banks specifications. After validating your request, and accepting your payments, the bank will issue the API details and software development kits to the shop owner. Shop owner can pass these information to us to start the integration. Now we will develop required plugins to connect the bank payment gateway to your website or app. After we develop and integrate the gateway to your website, the bank will test and verify the link between the website and the gateway for proper functioning. Test transactions will be done to simulate actual eCommerce operations. This is a feature offered by VISA by Adding an extra layer of security to online purchases. Verified by Visa is a global solution designed to make eCommerce transactions more secure. It helps ensure that payments are made by the rightful owner of the Visa account, building consumer confidence in online shopping. Verified by Visa relies on the Three-Domain Secure (3-D Secure) Protocol, which serves as the mechanism for cardholder authentication at the time of an eCommerce purchase. For merchants, Veriﬁed by Visa provides an additional level of security prior to authorization, and for cardholders it creates the trust they seek when shopping online. What is mastercard securecode ? Mastercard SecureCode is a private code for your Mastercard account that gives you an additional layer of online shopping security. Only you and your financial institution know what your code is — merchants aren’t able to see it. More than one million online merchants in 122 countries support transactions made with SecureCode. Look for the logo when you’re providing your payment information.